Ideal for disposing of soiled incontinence products, these Heavy Duty Blue Vest Carrier Bags are essential to any workplace dealing in the care of lesser able individuals. 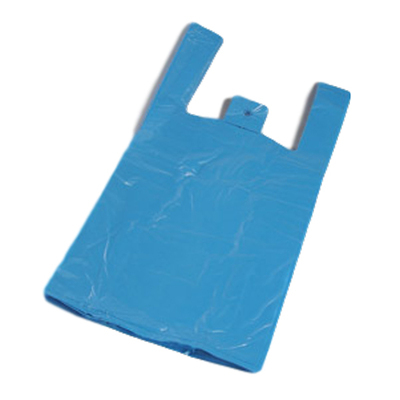 Made from a strong and durable micro recycled polyethene, each large bag comes in a blue colour to highlight its use in continence care. Aiding in the isolation of infection and preventing the spread of germs, each bag can be removed and used on demand while also storing easily within any cupboard. Each bag is handled for easy transportation and ties closed for secure waste disposal.